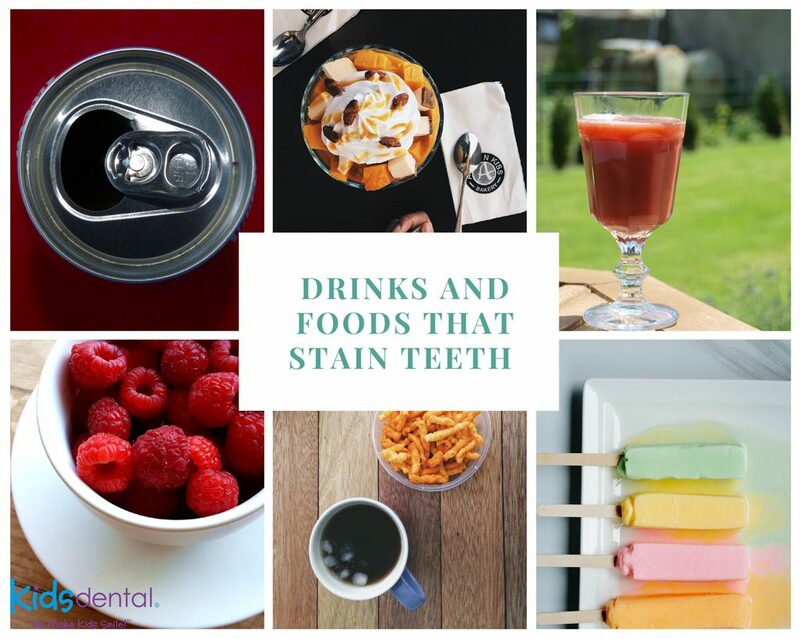 Drinks and foods that stain teeth usually contain one of three main agents: chromogens, tannins (acidic polyphenols) and acid if consumed on a regular basis. Drinks and foods that stain teeth are primary contributors in keeping children’s teeth from staying pearly white as they grow up. While permanent teeth are naturally not as white as baby teeth, what your child eats and drinks plays a major role in whether they stay their whitest. Not only do certain foods stain teeth, but their acidic content can actually erode tooth enamel, leaving teeth more susceptible to discoloration. While some of these stain-causing foods can simply be avoided, others are healthy and should still be consumed, just in moderation. One of the main factors in tooth discoloration from food is the frequency of consumption. Foods that contain chromogens, tannins, and/or acids will eventually stain teeth if consumed on a regular basis. While children don’t need to worry about the commonly known staining culprit, red wine, many other kid-friendly drinks contain the same types of tannins, chromogens, and acids, and some have added food coloring. 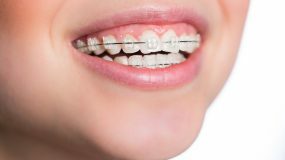 Coffee: With more adolescents and teens frequenting coffee shops comes to a concern about the teeth staining that can occur with high coffee consumption. Coffee is not only high in tannins and chromogens but very acidic as well, which negatively alters the pH balance in the mouth. These combined characteristics cause yellowing over time, and the high acidity can allow foods eaten later to stain or damage teeth more quickly. Adding milk can help minimize staining. Tea: Hot or cold, tea can stain teeth much more so than coffee due to its tannins and acidity. Specialty teas like green tea can stain teeth gray (which is more difficult to reverse), while black teas can yellow teeth. Soda: Anything carbonated (even sugar-free drinks) are acidic and can damage teeth, so even clear sodas can ultimately contribute to teeth staining in children. Drinks full of sugar also allow bacteria to feed, which releases acids. Dark colas contain chromogens, and fruit-flavored sodas are often made with colored dye, both of which stain teeth. Sports drinks: Food dye in sports drinks can leave the teeth discolored. Most are extremely high in acid and sugar making sports drinks potentially harmful to teeth. Cherry or berry juices: Any fruit juice rich with pigmentation puts your child’s teeth at risk of staining, and many fruit juices are high in sugar content. Drinking them sparingly will help keep teeth white. Dye-laden candy: Brightly-colored candies, such as lollipops, usually contain food coloring, which is an aggressive stain producer. If your child’s tongue turns colors when consuming these sweets, you can be assured that the teeth are being affected. Popsicles and slushies often contain the same type of dye, as well. Aside from the stain-causing dyes, most hard candies are full of sugar, and the stickiness can wreak havoc on teeth by leading to tooth decay. Dark fruits and veggies: While healthy for you, dark berries such as blueberries, blackberries, and raspberries are high in chromogens. Other staining fruits include cherries, grapes, and pomegranates. Beets can seriously discolor teeth if consumed frequently. Tomatoes, especially in sauce, are high in acid and can contribute to discolored teeth. Eat these healthy foods, just be sure to brush or rinse teeth afterward to minimize staining. Citrus fruit: Citrus fruits, such as lemons, limes, oranges, and grapefruit, are highly acidic and can erode tooth enamel. Trying to keep track of the lists of drinks and foods that stain teeth to steer clear of or limit may seem daunting, but just remember, if a food or drink can stain your child’s clothing, it can stain your child’s teeth. Since it is not practical to avoid all stain-causing foods to keep teeth white, and some are quite healthy for your child, practicing good oral hygiene can go a long way in fighting tooth discoloration. Just as there are drinks and foods that stain teeth naturally, there are foods that intrinsically help prevent staining. Eating these foods after consuming stain-causing foods can counteract any potential damage to the teeth. 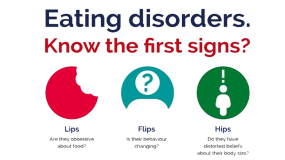 Nuts: Chewing harder foods such as nuts can scrub away residue and plaque from teeth, as well as promote saliva which neutralizes harmful acid. The protein in nuts helps protect and strengthen the teeth. Crunchy fruits and vegetables: High fiber fruits, such as apples and pears, and veggies such as cauliflower and cucumbers can increase saliva to help flush stains away. Fiber can also help scrub the teeth clean. Carrots provide vitamin A which supports healthy tooth enamel. Cheese: Calcium, protein, and phosphorous present in cheese help protect the teeth from acid. Researchers also report that cheese can raise the pH level in the mouth which aids in cavity prevention. Green vegetables: Vegetables such as lettuce, broccoli, and spinach contain iron which can form an acid-resistant barrier on the teeth that protects them from stains. Water: Not only does water help teeth and gums stay healthy, but drinking it (particularly swishing it around the mouth) after meals will remove acid and sugars that are still on the teeth. If you are unable to brush your teeth after a meal or snack, rinsing with water is a good option for reducing stains. Practice good oral hygiene: Have your child brush twice a day, floss every day, and rinse the mouth with water after consuming sugary or dye-containing foods. Be sure to brush the tongue and gums and use a soft-bristled toothbrush. 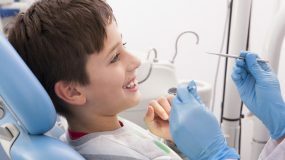 Visit your pediatric dentist regularly: Professional cleaning will smooth tooth enamel and keep stain-causing agents from becoming trapped in the crevices. Polishing the teeth can reduce stains, as well. Be cautious with fluoride: While fluoride is essential to keeping teeth healthy, too much fluoride can damage enamel-forming cells and permanently yellow the teeth. 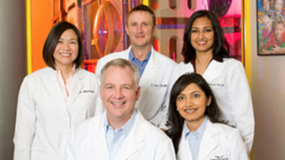 Your child’s dentist can advise you on the appropriate amount of fluoride for your child’s age. Staining can be the result of other dental problems, such as tooth trauma, therefore, Kids Dental recommends consulting your pediatric dentist if your child’s teeth seem overly discolored. 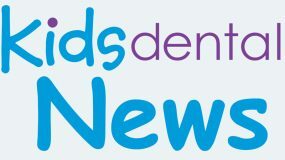 If you are concerned about stains on your child’s teeth or you have questions about how to help your child have whiter teeth, please contact us.